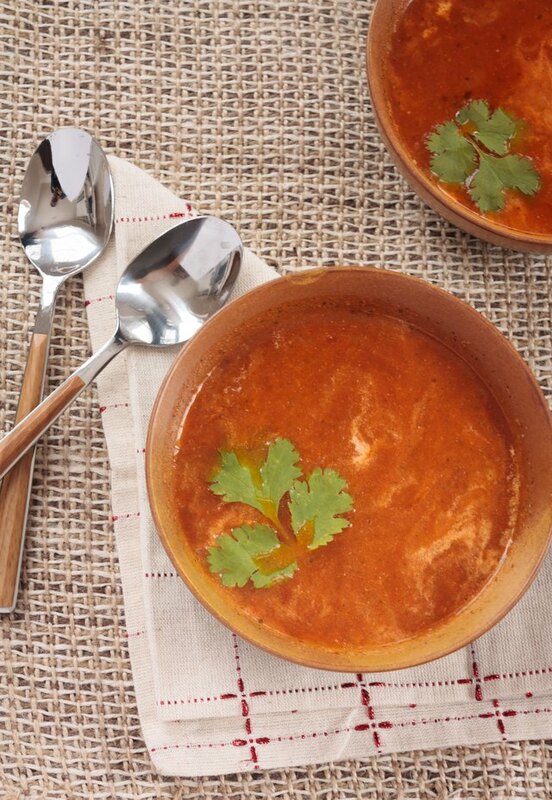 This recipe has all the comfort of a good old fashioned tomato soup with an easy "Indian" twist. (It's all in the spices!) It's so simple to make that you will never buy those canned versions again. 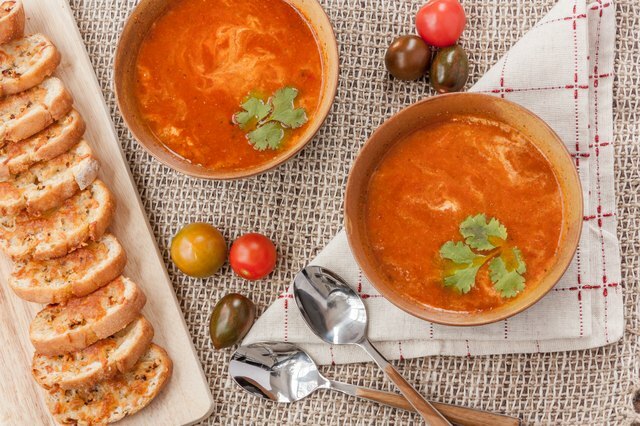 Use mix of different tomatoes like Roma or cherry -- it gives the soup a wonderful flavor. 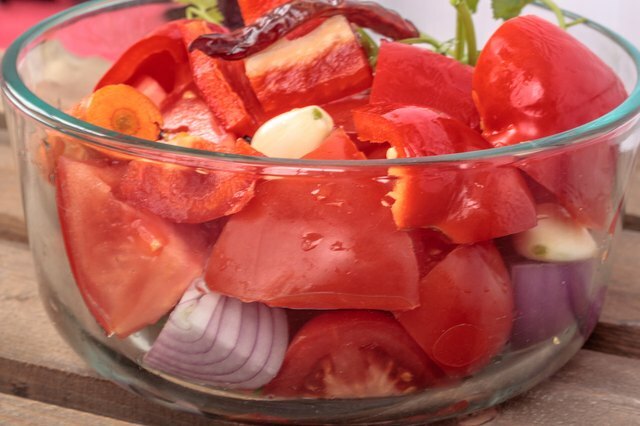 Chop the tomatoes, bell pepper, carrot and half of the onion into chunks. 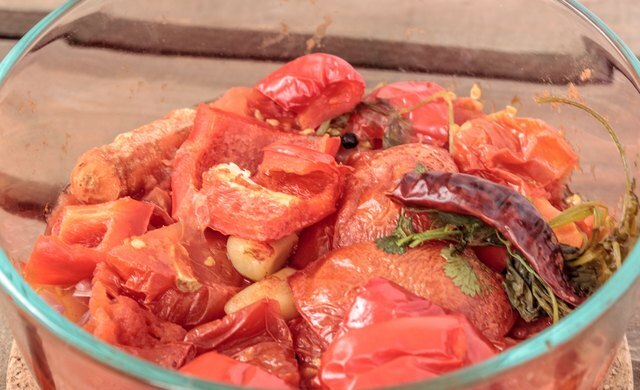 Add all the chopped vegetables along with the cilantro, garlic, ginger, peppercorns and red chile in a large microwave safe bowl. Microwave on high for around 10 minutes, until the veggies are cooked through. 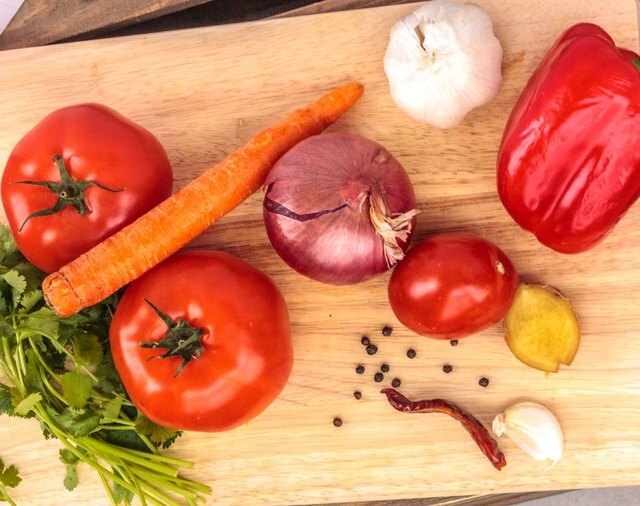 Cooking time will vary for different microwaves; check the vegetables in between. Let the veggies cool down a bit. Blend the mix in the food processor. 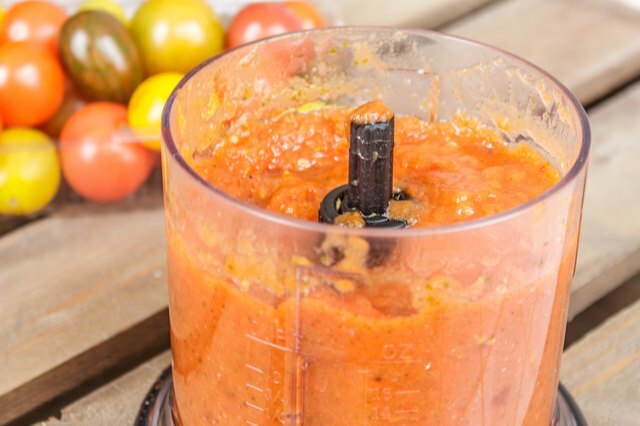 Be sure to puree well. Finely chop the remaining half onion. Heat the ghee or butter in a pan. 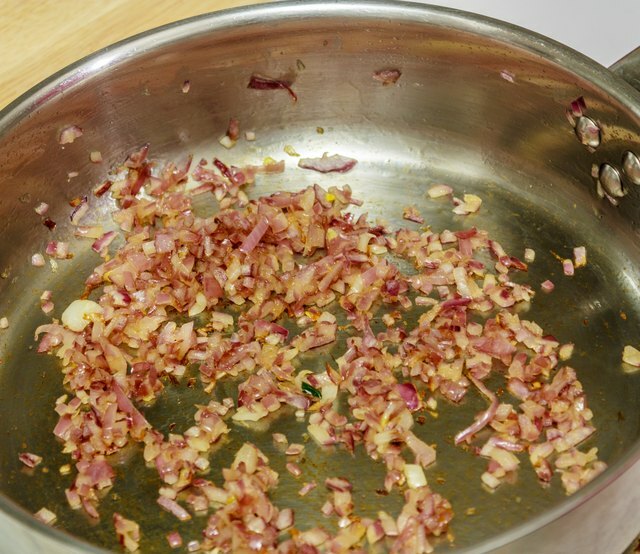 Add the remaining chopped onion and cook on medium high-flame, saute till it softens. Stir in the garam masala and cook for 30 seconds. Olive oil or canola oil can also be substituted for the ghee or butter. Add the pureed vegetable mix, water, salt and sugar to the onions. 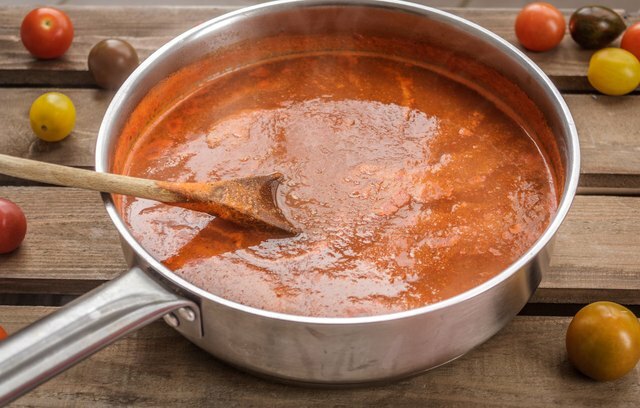 Bring the mix to a boil and then let it simmer for another 10 to 12 minutes. Serve hot with a splash of cream. Add some toasted garlic bread to make a meal out of it.